View More In Ceiling Lights. 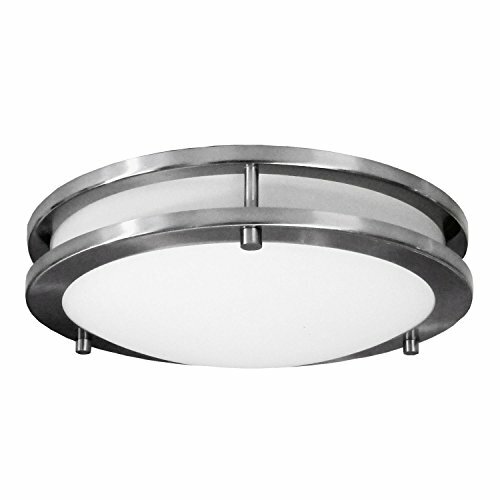 Clean, simple lines on the Saturn light will enhance many of today's interior design styles. The Saturn light complements industrial, transitional, or modern rooms. Brushed nickel finish and opal glass globe provide the finishing touch to any room. Two medium Edison bases offer various bulb options including led, cfl, or incandescent (bulbs not included). Can be mounted on sloped or flat ceilings or wall mounted. Ideal for residential, hospitality, or light commercial. If you have any questions about this product by HomeSelects, contact us by completing and submitting the form below. If you are looking for a specif part number, please include it with your message.